This new group combines the aims and objectives of the Pang and Kennet Valleys Countryside Projects, the Bucklebury Heathland Conservation Group and the Pang Valley Conservation Volunteers. It has been set up to represent all of the people who care about the countryside throughout West Berkshire. Bucklebury Common was once an area of extensive heathland with large areas of heather and gorse. It was the home of nightjars, woodlarks and reptiles. When grazing stopped in the 1920's the Common became overgrown with silver birch and scots pine and the heather and wildlife declined. 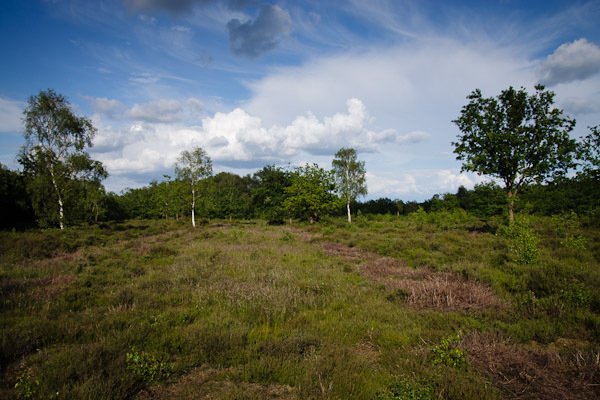 The Bucklebury Heathland Conservation Group was originally set up in 1992 to restore part of the Common to heathland and since then we have cleared and maintained about 60 acres in an area east of Upper Bucklebury and south of the Upper Bucklebury to Chapel Row road. As a result the nightjars and woodlarks have come back and we sometimes see an adder. The site is owned by the Bucklebury Estate and the conservation work is carried out with their kind permission.We meet on the second Saturday or Sunday of each month between September and March with occasional extra workdays to continue the battle to keep the area open and to expand it if possible. If you are interested in helping, then please contact Tim Culley for details and more information on 01189 714830. Additional information can be found on the West Berkshire Countryside Society website.